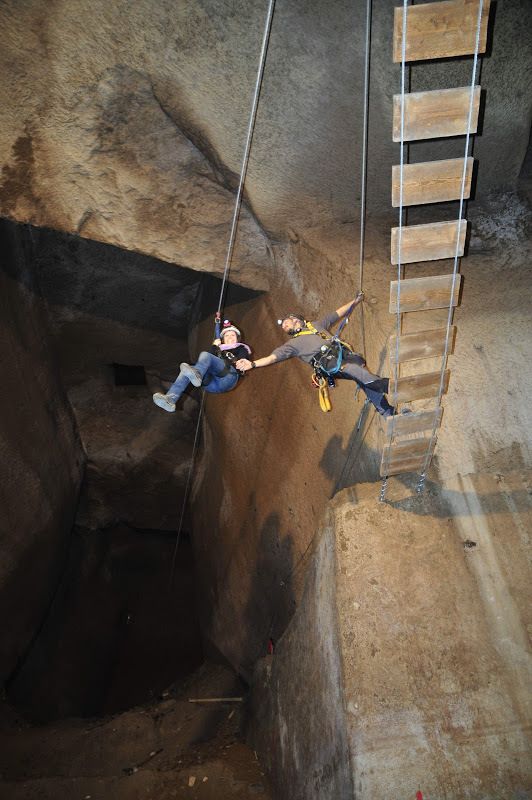 When was your last underground archeological tour that entailed ziplining and sailing? It's well known today that Il Passetto of Rome was constructed as a secret passageway for Popes. But how do you escape in times of siege if you're the king? In Naples lies an underground passageway that stretches from the Royal Palace all the way to... huh? It ends in a parking lot. The Tunnel Borbonico was built by Bourbon King "The Bomb" Ferdinand II--son of "Big Nose" Ferdinand I, and equally unpopular among his subjects. The younger king ordered the tunnel constructed as an escape route in times of revolution, which pretty much meant Ferdinand's entire reign. The passageway was planned to extend into Piazza Vittoria, which housed a military barracks. But it was never quite finished. Today, the main entrance to Il Tunnel Borbonico can be accessed near Piazza Plebiscito, the large, central piazza of Naples in which the Royal Palace resides. A giant parking structure sits on top at the other end of the tunnel. 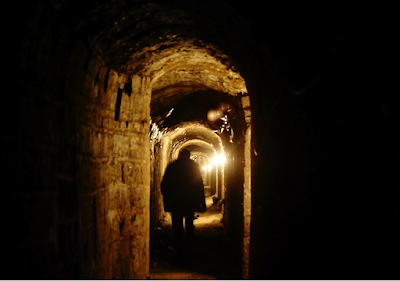 Visiting Il Tunnel Borbonico is not your average walking tour through an underground chamber. While the "Standard Tour" is what one might expect--a walk through the tunnels, exploring the artifacts--the adventurous might want to try the "Adventure Tour." This one leads through still-flooded passageways and entails a raft ride beneath the city. And for those who would rather be in the sky beneath Naples (yes, you read that right), don your lighted helmet and follow the "Speleo Tour", where you get to zipline up a cistern. 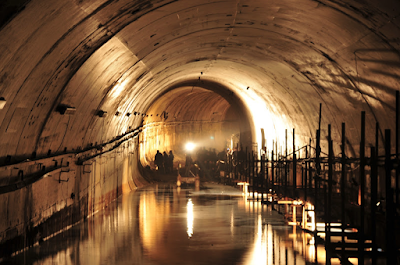 For more information, visit the Tunnel Borbonico website. 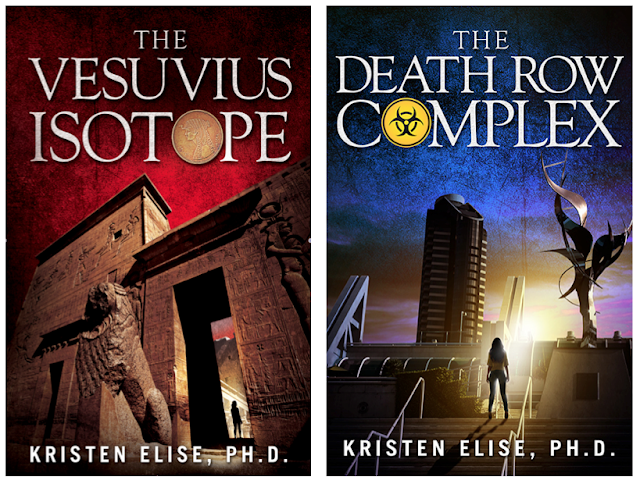 This blog post explores a non-fictional theme or locale that is incorporated in the third Katrina Stone novel, in progress by Kristen Elise. 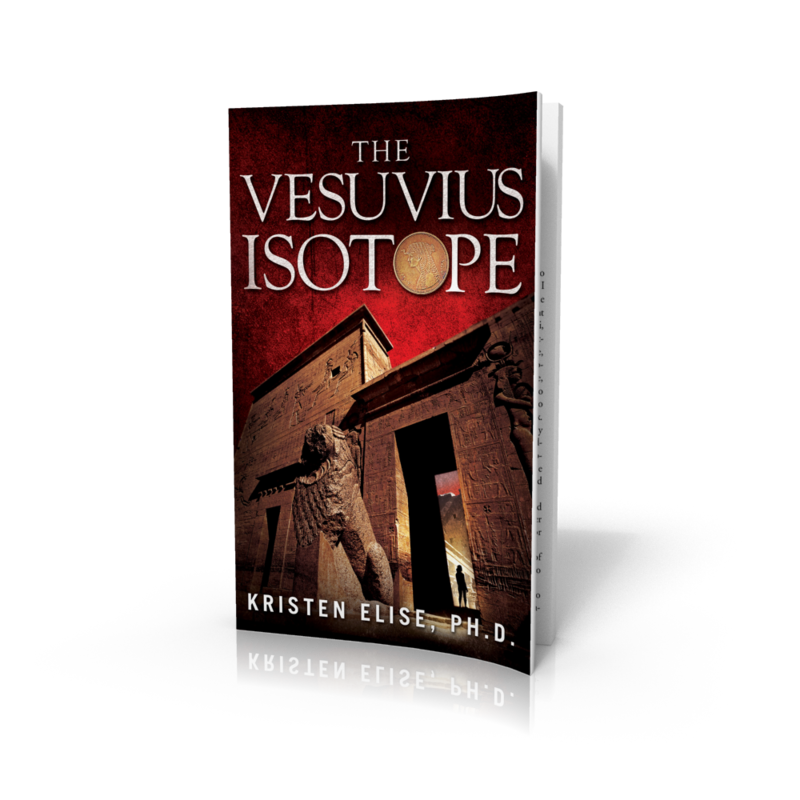 Buy The Vesuvius Isotope, the first Katrina Stone novel, in print or ebook .